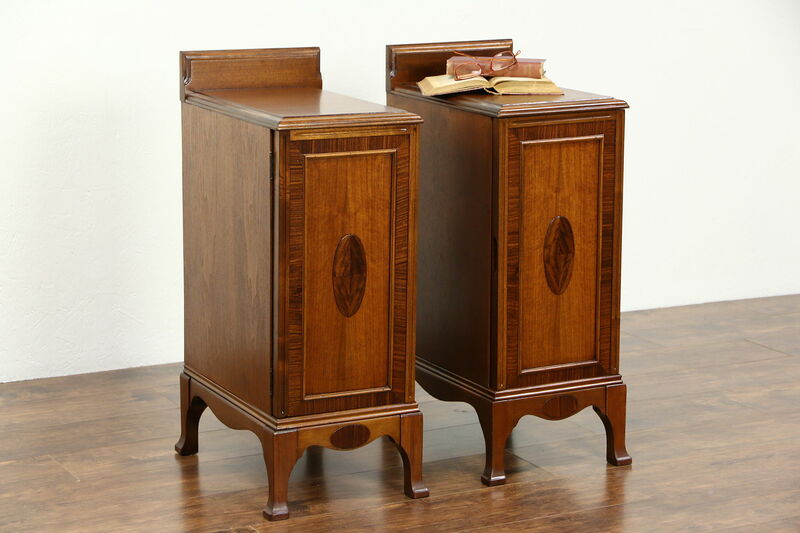 A pair of superior quality nightstands from about 1915 are walnut with genuine rosewood banding and matched burl medallions. The restored finish is in excellent condition on this American made antique furniture. A true left and right pair, interior drawers have dovetailed joints. Size is 13" wide, 19" deep, 32" tall and the tops are 29" high.